When it comes to footwear, we know what’s important. You want a pair of shoes that not only look great, but are also comfortable, durable, and great value for money. With Shoe Zone, you’re in safe hands, which is why we’re delighted to introduce you to the brand Easy Flex. 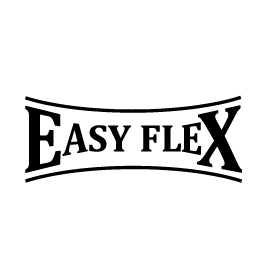 Easy Flex men’s shoes are available in a range of styles, sizes, and colours. 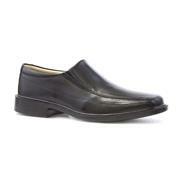 The range includes both casual and formal styles of shoe, making it easy to shop for all occasions in one place. If you’re looking for a pair of shoes that will take you from a weekend stroll to a relaxed get together without breaking a sweat, look no further than Easy Flex’s range of casual men’s lace-up and slip on shoes. With leather uppers, contrast stitching, elastication for total comfort and a contemporary round toe, they’re the perfect all-rounder. For more formal events, Easy Flex men’s footwear fits the bill every time. Available in both lace-up and slip on styles, they’re perfect for wearing at work, parties, and even with a suit! Why not explore our other styles in our men’s section too? 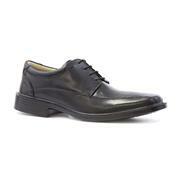 We have men’s loafers, lace up shoes, trainers, canvas shoes and much more to choose from. Shop online or in-store with Shoe Zone today and bag a pair of shoes that will work just as hard as you do. Don’t forget that standard delivery is always free when you shop with us! 7 products from £19.99 to £39.99.